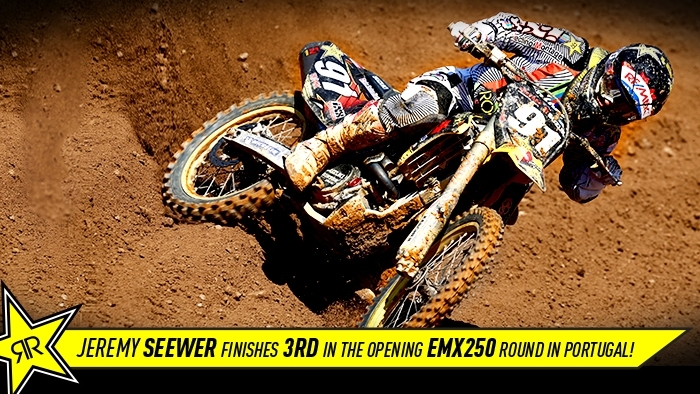 Jeremy Seewer: "I'm happy with third in the first race but for sure the win would have been nicer. We have seven races to go so it was a solid way to start. I know I can do better and my goal is the title; top three overall for sure. I have to look towards Ernee and the Grand Prix of France now. The track was completely different today; yesterday it was dry and hard and because of the watering, it was deep and with many ruts. I didn't struggle but there was just one good line in the morning and it was difficult to pass another rider."